SwimTayka will work in any location around the world where underserved communities live near open water, providing the host country is safe for our volunteers to visit and work in, and providing there is a host NGO available to work with SwimTayka. All swimming instructors must be experienced, open water swimmers, Tri-Athletes, certified swimming instructors or lifeguards. 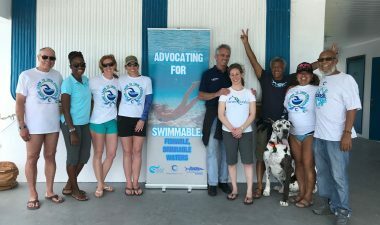 Volunteers who also have experience working with children in the water embody a passion for clean water and environmental education are welcome. Volunteers with a basic level of Spanish or other languages local to the project will thrive. Volunteering with SwimTayka is very similar to volunteering with other organisations. We ask for a time commitment of 2 weeks to 2 months – depending on your availability and the necessity of the programme. As a swimming instructor, you may spend up to 6 hours a day working with children on land, in the pool, or in the ocean. Volunteers are supported by established NGOs in the area and will have at least one group meeting per week. Individual support is provided on an ‘as required’ basis. Volunteering with SwimTayka, like many other international service organisations, has fees. The fees do vary from project to project so if you have a specific budget in mind, please get in touch and we can help you identify projects that fit your pocket. Or, we can give you ideas about how to raise extra money to take part in the project that appeals to you most. You will need to make your own travel arrangements to get to the project and provide your own travel insurance and day to day living expenses. Again this will vary widely due to the project, it’s location and your personal circumstances.